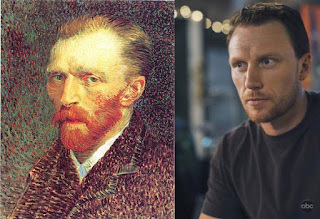 So I was just sitting on my couch if anyone else had noticed that Kevin McKidd from Grey's Anatomy looks like Vincent van Gogh. I found the two pictures above, a still of McKidd on the left and van Gogh's Self Portrait from 1887 on the left. 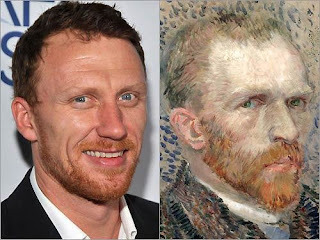 If someone ever makes a feature film about the life of Vincent van Gogh, my vote goes to Kevin McKidd for the lead!